Learn to love your lunchtime by escaping from the office into one of our fantastic Town Centre Parks. Just a short stroll can make you feel better and ready to face whatever the afternoon brings. Use ParksHerts to find your nearest town centre park and then grab your workmates and go! For an added incentive you can record your steps online by signing up to the Workplace Challenge. Activity means points, so watch online as you and your workplace compete against organisations from across the country. Give it a go today! Cassiobury Park in Watford has plenty of options for the lunchtime visitor including outdoor gyms, beautiful trails alongside tennis and basketball courts. All that within 10 minutes walk of High Street shopping. Stevenage’s Town Centre Gardens offers a haven from the hustle and bustle of the town centre. Sit by the pond or take a walk through the sensory garden and return to work feeling relaxed and rejuvenated. If history is more you, Verulamium Park, close to St Albans town centre, is built on the site of the ancient Roman City of the same name. Find sections of the old city wall and a well preserved mosaic which once formed part of a large town house. Also in the park, Verulamium Museum offers plenty more to discover. If you fancy something more energetic, try Westminster Lodge Leisure Centre which is also on site. Located between Darkes Lane and the High Street in Potters Bar, Parkfield is perfect for some lunchtime calm. Once the grounds of a private house, nunnery and girls school, today Parkfield has a Japanese Garden, pond and trail. You could even take your colleagues for a jog through the meadow. 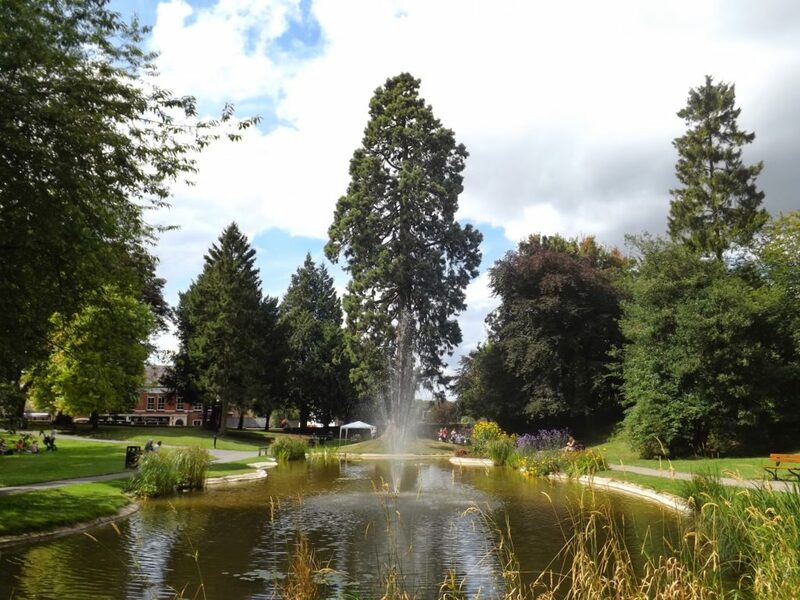 Tring Memorial Garden is a hidden gem only steps away from Tring’s busy high street. Offering an oasis of tranquillity and quiet reflection for the local community, the garden is perfect for a lunchtime de-stress. Located at the lower east end of Tring’s High street, the garden was formed from a small section of Lord Rothschild’s 300-acre Tring Park. Howard Park and Gardens in the centre of Letchworth, was part of Ebenezer Howard’s Garden City vision 100 years ago. The park still has a positive impact on the quality of life for people who live or work there today. Grab a coffee from the refreshment kiosk and learn about the history of the Garden City from the Ebenezer Howard Memorial. These are just a few of the many fantastic opportunities for you to get out of the office and love your lunchtime! February is Workforce Development and Volunteering month for Hertfordshire’s Year of Physical Activity 2018. The aim being to make Hertfordshire the most active county. The year will highlight the many and varied ways to get active and improve your health across Hertfordshire and each month will focus on a different topic.